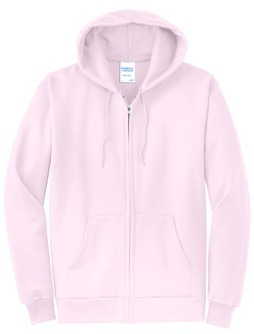 Minimum quantity for "Full Zip Hooded Sweatshirt unisex" is 1. 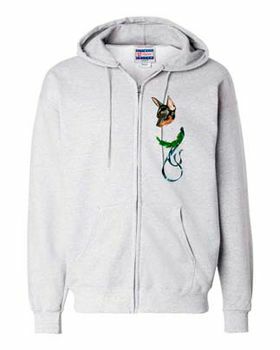 Designs can be put on front or back of sweatshirt. We will put larger designs on the back unless otherwise requested. 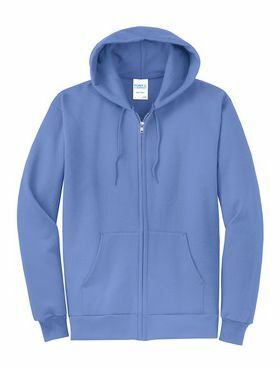 This full zip unisex sweatshirt is 8.0 oz., 50/50 cotton/polyester, reduced pilling and softer air-jet spun yarn, 1x1 athletic rib-knit cuffs and waistband with spandex, double-needle stitched armholes, cuffs and waistband, unlined hood with matching drawstring (adult style only), split front pouch pocket, YKK metal kissing zipper. 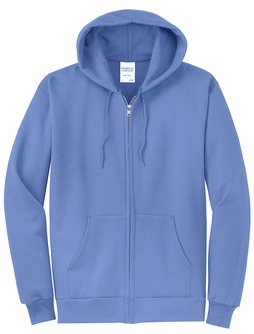 With the unisex size, these are a more generous sweatshirt. Please select size carefully. 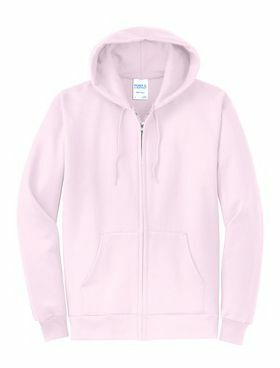 Since we custom make all designs to your specifications, only items that have a manufacturing defect may be returned.